From just £148pp! Prices from just £148 per person! Spoil the family with the Ultimate All Inclusive 2 Night Stay at Chessington World of Adventures Resort! Stay over at the Chessington Resort Hotel or in a Explorer Glamping Tent on selected weekends and experience an adventure like no other! Swing tree-to-tree with a family Go Ape Experience and enjoy 2 days entry to the Theme Park, where you can enter the spellbinding world of The Witch, Dog, Bird and Frog in the BRAND NEW attraction, Room on the Broom — A Magical Journey! Fill up with a delicious breakfast at the hotel, lunch at Adventure Point Pizza Pasta in the Theme Park and dinner in the Temple Restaurant on both days! With all of this included, all that's left for you to do is enjoy a roarsome short break together with the family! Prices start from just £148 per person! 2 day Theme Park tickets must be used on consecutive dates, please check our Theme Park opening times before arrival. Go Ape Experience can be used on any day during your stay (subject to availability) on either Tree Top Adventure or the Tree Top Junior course**. Please note: Explorer Glamping guests will enjoy dinner at Explorer's Outpost. 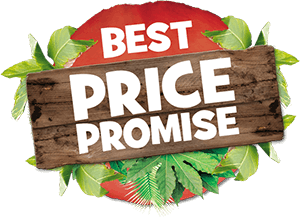 Lead price of £148pp is based on a family of four sharing a Standard Explorer Glamping Tent on selected weekend dates in 2019. Packages include a 2 night stay at the Chessington Resort Hotel (either checking-in on a Friday or a Saturday), 2 consecutive days in the Theme Park, 2 servings of breakfast at Exploer's Outpost, 2 lunches consisting of an all-you-can-eat buffet at the Adventure Point Pizza Pasta Restaurant in the Theme Park, 2 dinners at Explorer's Outpost and 1 Go Ape Experience on either the Tree Top Adventure or Tree Top Junior course. Contents of package subject to change and availability. Reservations must be paid in full at time of booking and are non-transferable or refundable and all rooms types are subject to availability at the time of booking. Excludes stays in Explorer Glamping Tents or offsite hotels. Lead price of £150pp is based on a family of four sharing a standard room at the Chessington Resort Hotel on selected weekend dates in 2019. Packages include a 2 night stay at the Chessington Resort Hotel (either checking-in on a Friday or a Saturday), 2 consecutive days in the Theme Park, 2 servings of breakfast at the Resort Hotel, 2 lunches consisting of an all-you-can-eat buffet at the Adventure Point Pizza Pasta Restaurant in the Theme Park, 2 dinners (all-you-can-eat buffet) at the Temple Restaurant and 1 Go Ape Experience on either the Tree Top Adventure or Tree Top Junior course. Contents of package subject to change and availability. If the Temple Restaurant is closed then a TDH menu will be available at the Zafari Bar and Grill. Reservations must be paid in full at time of booking and are non-transferable or refundable and all rooms types are subject to availability at the time of booking. Excludes stays in Explorer Glamping Tents or offsite hotels. *Itinerary examples are for illustrative purposes only and are subject to change and availability. This package is available for 2 nights on any of the following dates as the check-in date: 15th, 16th, 22nd, 23rd, 29th and 30th March, 26th and 27th April, 10th, 11th, 17th and 18th May, 7th, 8th, 14th, 15th, 21st, 22nd, 28th and 29th June, 5th, 6th, 12th and 13th July, 6th, 7th, 13th, 14th, 20th, 21st, 27th and 28th September, 4th and 5th October 2019. **Please note: You must be at least 1m tall and under 20.5 stone to take on the Tree Top Junior challenge. A ratio of 1 adult to every two children under 6 years applies. For children aged 6+ accompanying adults can be on the ground. You must be aged 10 or over, at least 1.4m tall and under 20.5 stone to take on the Go Ape Tree Top Adventure. Children aged 10-15 years must be supervised on the course. One Adult (18+) can supervise a maximum of 2 children aged 10-15 years. 16 & 17 year olds do not require supervision on the course. For full Go Ape terms and conditions, please click here. Adventurers can choose which Tree Top Challenge to tackle on the day of arrival but you must pre-book your time slot, please call 01372 631464 (10am-4pm 7 days a week). Early Ride Time is available between March 2019 — October 2019 when you stay in a standard or themed room at the Chessington Resort Hotel. Please note: Early Ride Time is only available during main Park opening dates and is not included is seasonal packages. Wristbands will be issued on arrival at Reception and must be worn to receive this benefit. Rides/attractions are subject to availability and the rides available can differ. Rides/attractions available will be confirmed by reception. Glamping Exclusive Fasttrack is available for Explorer Glamping guests only. Access is available between 10am – 11am on your second day entry into the Park. Rides are subject to change and availability. Rides/attractions available will be confirmed by reception.